We already know that listening to music with the sound cranked all the way up could damage children's hearing. And now, thanks to researchers from the University of Leicester, we know exactly how it happens. Loud noises -- more than 110 decibels (dB), the equivalent to a chain saw -- can strip away the myelin sheath from the nerve cell. This coating helps electrical signals travel along the nerve from the ear to the brain. Without the myelin sheath, the signals are disrupted, leading to temporary deafness. Yes, music players can output this level of sound. 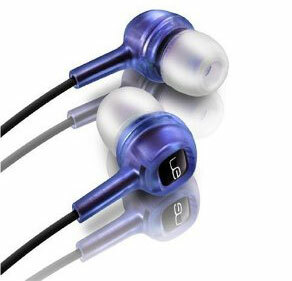 While most max out at about 103 dB, some can reach 120dB. According to the National Institute on Deafness and Other Communication Disorders (NIDCD), more than a minute of exposure to 110 dB sound risks permanent hearing loss, as can 15 minutes at 100dB or prolonged exposure at or above 85dB. So if your kids listen to music or videos, you can protect their hearing two ways. First, limit the volume on their iOS devices to about 75 percent, the recommended maximum limit. (You can find the "volume limit" feature under music settings.) Also, invest in sound-limiting headphones. 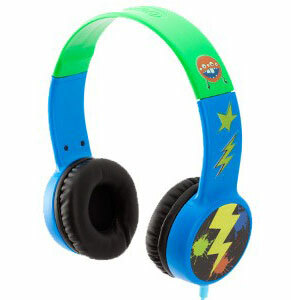 For young children, I like the KidzGear Volume Limit Headphones ($29.95 on amazon.com ). hey can adjust to fit toddlers on up and have very soft earcups, which my kids have found comfortable on long car rides. I also like Griffin's Crayola MyPhones ($24.98 on amazon.com ). They aren't quite as adjustable, but they too have soft earcups and, it doesn't hurt that they come with stickers so kids can decorate them. When your kids are ready to step up to earphones, try the Ultimate Ears Loud Enough Volume Limiting Earphones ($18.99 on amazon.com ). They're not desgined specifically for kids, but come with a set of extra-small eartips that will fit a child's ear. I'm also a fan of the ETY Kids 5 ($49 on amazon.com ) and ETY Kids 3 model ($79 on amazon.com ) with in-line controls for iOS devices and cell phones. And make sure the earphones fit properly; earphones naturally block ambient sound, so your kids won't be tempted to turn the volume up as high. Simply pushing an eartip into the ear often isn't enough to create a proper seal. Gently pulling on the outer rim of the ear can help ease the eartip into a comfortable position. And when the seal is good, your child should notice a drop in ambient noise.